After 7 weeks of continuous sunshine, an average of 27 – 30C, and just one or two showers, August arrived to break the heat wave. Some consistent rainfall occurred - not something we usually welcome in the summer - to give some much needed deep watering for our garden and flowers. Also for the many trees we have, some of which were really suffering in the heat. 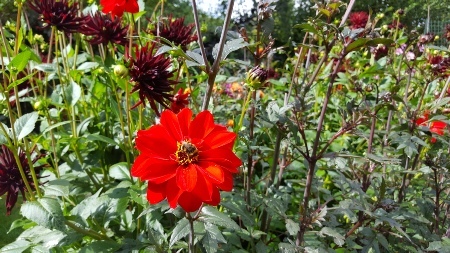 We still have a riot of colour on our flower farm, with dahlias displaying their strong vibrant shades of red, purple, orange and deep pink. 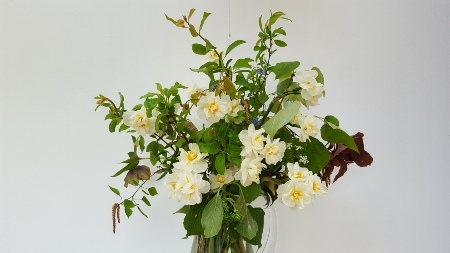 Our David Austin roses have grown well, but the sun blasted some of the delicate blooms with the result they often look tinged or brown around the petal edges. 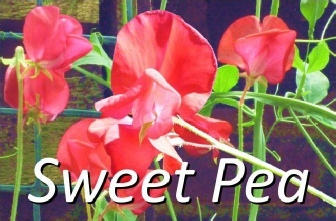 Next year we are considering growing them under netting, much like they do in Australia and other sunshine climates, just to protect the buds and blooms from the extremes of wind, rain and sun. 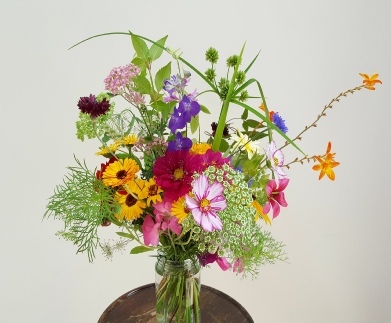 Our Flower Medicine Ways workshop is coming up on 6 September. 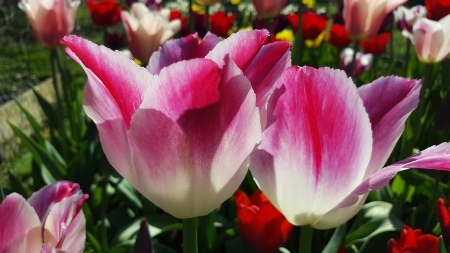 Flowers have been revered by ancient cultures and used as medicine for millennia – their medicine being that which strengthens our connection with the spirit and wisdom of nature for personal and planetary well-being. 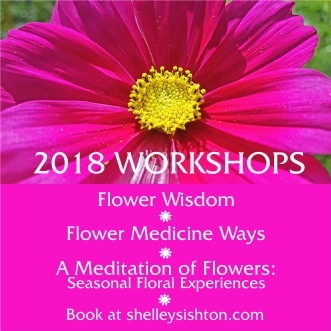 This in-depth one day workshop brings together Shelley’s 25 years of study and practical work with flowers, flowers essences and the wisdom of nature for a unique experience. 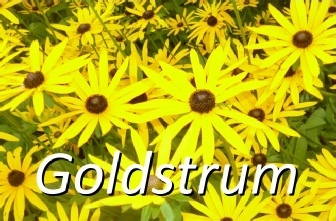 It includes talk time, practical experience and personal time with the flowers and nature in the garden. 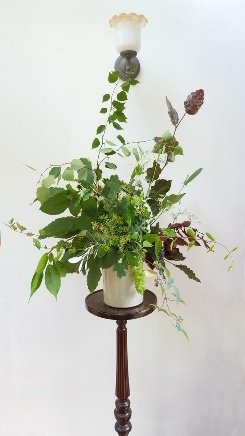 Attendees will also have the chance to arrange flowers with spirit – letting yourself be guided by the flowers and nature to create a floral conversation in a vase. 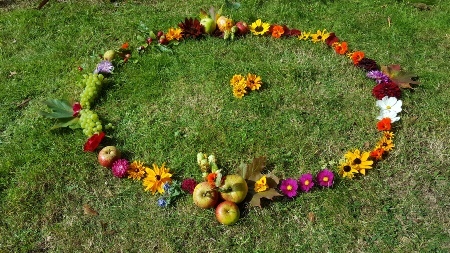 And we will create a flower medicine wheel in a sacred ceremony to honour the season of Late Summer – the time of harvest and celebration of nature’s abundance. You will leave with one of our English Garden Flower Essences of your choosing (see examples below), your flowers and with many practical ideas of how to work with the wisdom of flowers in your daily life and professional work as a therapist, practitioner, floral designer, flower farmer or otherwise. 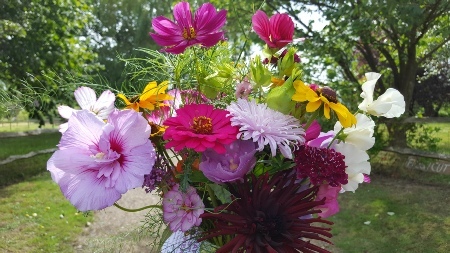 These flowers are all growing on the flower farm right now. Enjoy their essence. Click on the picture for full details and to buy. 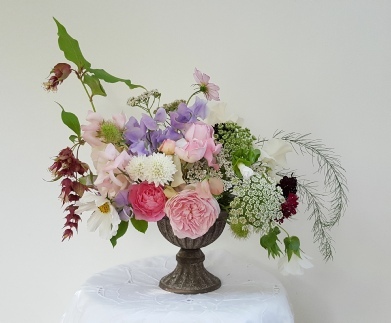 Being set within a well established garden and old apple orchard, we can gather all sorts of greenery for our floral designs too. 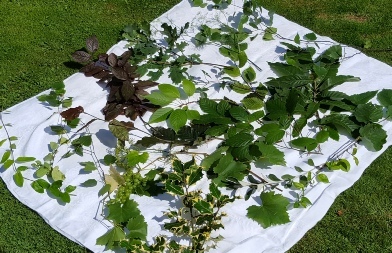 From vines, hops, honeysuckles and clematis to beech, oak, damson, hazel, cobnut, cherry, silver birch, prunus and more, plus heaps of greenery from all kinds of evergreen shrubs to go with our flowers, we are lucky to be able to create textures, shapes and unusual displays for all sorts of requests. 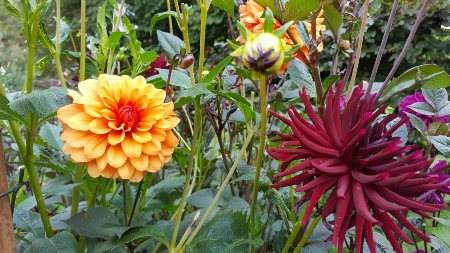 August may be holiday time in the UK, but for us it is a time to plan and start seeding for the following year. 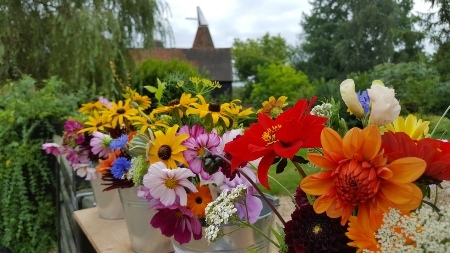 We have some May weddings in 2019 and want a head start with some hardy annuals, and also we want to sow and grow more perennials. 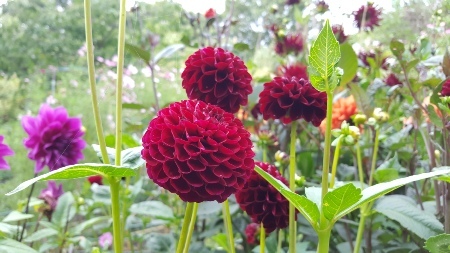 So we are busy with plans of where to locate new ‘no dig beds’ and some more raised beds, as well as choosing new seeds for next year (see www.charlesdowding.co.uk for information about no dig organic gardening). We also plan to grow more spring bulbs, mainly because we love them! 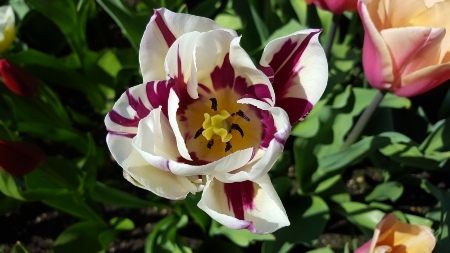 With Sir Winston Churchill narcissus offering delightful early scent, and tulips such as Whispering Dream and Rems Favourite lighting up the garden with gorgeous shades of pink and purple, who can resist?! 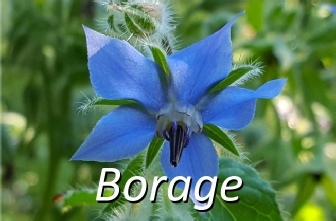 Borage If you feel weighed down by life on Earth, this flower lifts you up to the stars, to a place which feels like ‘home’. 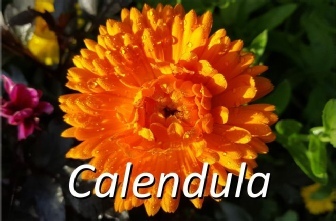 Calendula To feel ahhh that’s better. For a deep sense of relief and release. 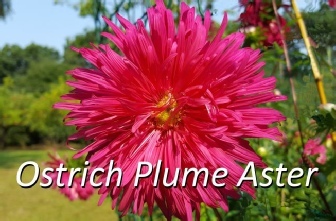 Ostrich Plume Aster To laugh. To lighten things up. 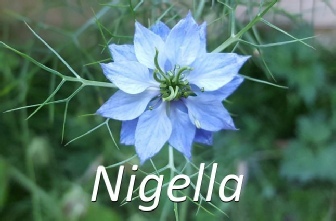 Nigella To walk into a new energy and close a door on the past. A star shaman’s flower and essence.